It’s very interesting incident which is very rare to happen. On Tuesday afternoon all of sudden my Sky Fiber Optic Broadband stopped working. 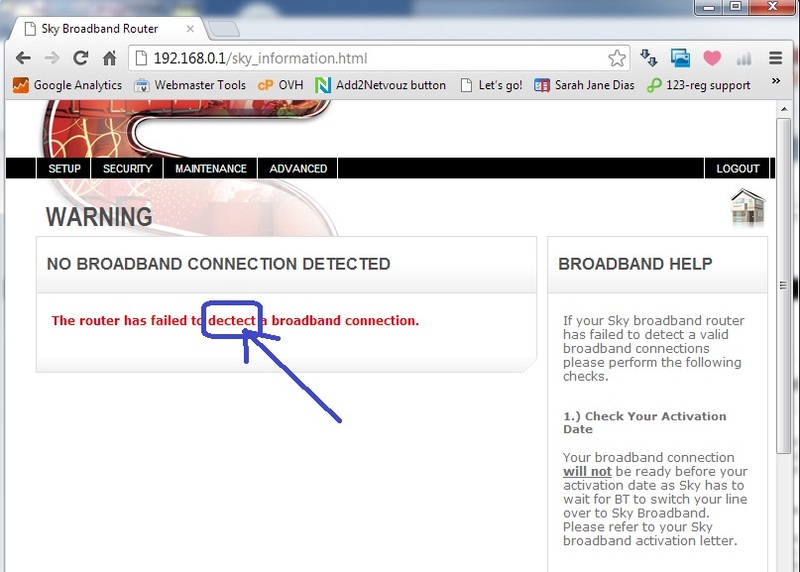 Sky Broadband Problem – The router has failed to detect a broadband connection. My first instinct was that BT Openreach engineer had done something to screw up my broadband connection. In the morning while leaving for office I saw that BT Openreach engineer working next door to install new broadband. And as usual the first instinct is always correct which you will come to know after reading the rest of this story. 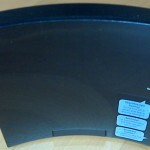 3) Broadband light was off in the sky router – The problem. 5) I also tried, half heartedly, to change channel in sky router settings but it didn’t help either. There was no other reason which might has caused broadband problem. There was no Sandy in London, no heavy rain, no flooding. There was no problem at the telephone exchange. I didn’t physically disturbed modem and router. There couldn’t have been any problem in the sky router or fiber modem as these devices normally work for years without giving any trouble. Overheating of these 2 devices was also ruled out as I always switch them off in the night. Finally I rang sky help in the late afternoon only to connect to some zombie call center guy back home in India who told me that Fiber Optic broadband support zombies have gone sleeping and asked me to try calling next day. Somehow I resisted swearing at him after all it was not his fault. But 10-20 minutes of wait on the call to connect to someone who is not supposed to be there does deserve some reward doesn’t it? I called sky again on Wednesday morning and after usual everlasting wait, I finally managed to speak to a nice lady. I just couldn’t resist telling her that Engineer must have screwed it up. She didn’t have any ways to confirm this but she did found that there is no broadband sync between cabinet and sky router. She got a BT Openreach Engineer to visit next day afternoon and also put the note about BT engineer’s visit in next door on previous day. These guys are trained robots and they would probably never think out of box. It’s not their fault, it’s the system’s fault. If I was the Engineer the first thing I would do is to visit the cabinet to quickly check if other engineer has really messed something up? Anyways I let the engineer carry out his usual testing. But again I didn’t fail to let him know my intuition that the engineer has done something wrong in the cabinet. After few tests in the socket he left my house to visit the cabinet and on his return told me triumphantly that everything works in the cabinet. He carried out his usual tests in the cabinet and found no fault. I wasn’t convinced. I was determined that something has been messed up in the cabinet. Discovering nothing and relying on all his skills and tests, engineer announced that there must be something wrong at sky’s end. But before leaving he decided to help with his technical guys. Finally after 20-30 minutes on the call he was told that something is wring in the cabinet. He went away to check cabinet again and on his return he told me what I already knew all along. He told me that the other engineer has connected 2 lines on my port in the cabinet which was causing trouble. Even though the signal was proper in the fiber optic modem it caused problem in syncing sky router and hence no broadband signal. He also said that he has never seen such incident before and was surprised how it could have happened. I couldn’t stop smiling. I wish this engineer had checked the cabinet first before wasting his an hour of time. Just because it didn’t happen in the past doesn’t mean that it is impossible to happen. Sometimes you gotta think out of box to solve a problem, your standard tests ain’t perfect. And not to mention, next time your boradband stops working and if you have seen BT Openreach engineer roaming in your street then chances are that he might have screwed it up.